While it can be enticing to initiate your entrepreneurial venture without the need for a business account, this might not be the shrewdest of decisions. With time, your business will grow and it will become critical to differentiate your business and personal day-to-day finances. Start-ups and part-time business holders often mix up their finances and while it looks like an easy, expedient, and cheap way to operate, it certainly won’t be the same further down the road. Any business operator must treat their business with due diligence, regardless of its scale. While setting up a separate bank account means additional bank fees and expenses, you are going to save yourself from inconvenience in the future. 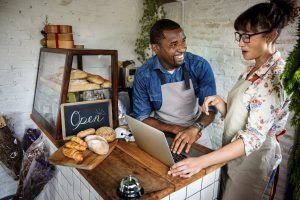 Many people who own businesses will attest that, to manage your spending and money from your business activities, it is indispensable to have a business account. Business accounts may appear to charge a lot more than regular, personal accounts. However, some banks only charge minimal fees if you deposit a certain amount of money regularly. This is a really good deal because, if your business is doing well, the money will keep flowing, resulting in minimal fees. At minimal cost, you are able to proficiently handle all of the financial matters of your start-up. In case things take a downward spiral and you are stuck in a bad situation, it will be hard for you to explain to any government institution or your partners about the legitimacy of your business if your finances don’t reflect that. Also, there are some other government fees that you will need to pay for running a business and your business account is often checked for verification. You can only get away with it if you can prove that you are running your business as a hobby. Still, it is better to be safe than sorry. Filing your tax return can be a nuisance in itself, let alone also suffering the exhaustion of going through your personal account statements and deciphering through your business-related transactions. For a start-up, filing seamless returns in the first few years can provide your business with a solid credit history. When your credit report in unblemished, you can apply for loans, business credit cards, and many other financial perks that can eventually lead your business to success. A business account will also facilitate in auditing as you will be able to provide a clear picture of all of your transactions, making the job of an auditor a lot easier. And, you certainly don’t want to irate an auditor! When you are working with clients or looking to gain new partners, a business account will reflect your professionalism. No one will take you seriously if you get into a business deal with them through your personal account. You need to treat your start-up like a real business before expecting others to do the same. Business environments, these days, are hugely competitive and you will most likely not get a second chance with the same client twice. Therefore, it is always beneficial to learn from the mistakes of others and do it right the first time. Having a separate account is a must if your registered company is either an LLC, Partnership, or a Corporation. Because there is more than one person involved in owning such a business, there can’t be an exclusive account for it due to legalities. An account in the business name gives all of the partners’ equal authority over managing the account, therefore ensuring that everything runs smoothly. Many experts call for the need of a business account for a start-up from the beginning as this protects you and your business. An account in your business name provides you with asset protection and corporate veil protection. There will be a lesser chance of having an issue with the IRS and you will sail smoothly through any financial troubles. With all of the arguments overwhelmingly in support of having a business account, it must be the first thing you do when starting an entrepreneurial venture. Your personal success and your business success highly depends on the professionalism and ability to stay out of trouble when times are tough.